There are many places in the world where it is possible to chill out, feel the sand between your toes and enjoy an ice cold beer. 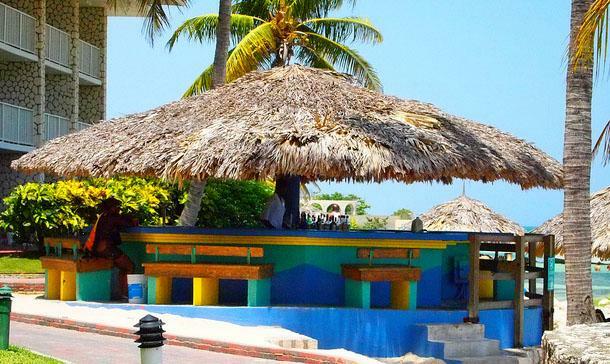 Then there are beach bars that are cool and then there are beach bars that are amazing. They have the views, the location and a little bit of a wow factor. Here is brief list with the best beach bars in the world, try any of the following on your travels and enjoy! Sa Trinxa, Ses Salines, Ibiza. Ibiza has many fabulous beaches and bars around the island but Sa Trinxa is especially cool. The turquoise waters and burning sun give the bar the wow factor. The music is supplied by DJ Jonathon, chilled beats are played from late afternoon as the fabulous beings of Europe tan their limbs. If anyone needs a snack, then the bar also sells delicious sea food, grilled prawns come highly recommended. La Zebra, Tulum, Mexico. The Carribean Sea evokes images of beautiful crystal blue waters and fine white sand. Well, if you add to the mix palm trees and clear blues skies, then you are starting to understand the appeal of La Zebra. Sunday’s salsa lessons (free!) take place on a purpose built stage on the beach. There is no better location to indulge in such a freebie. The bar itself is pretty cool, offering the obligatory Margueritas, as well as a whole host of beautiful, fresh cocktails. The trick is to bag a daybed (on the beach) ,an icy beer and listen to the fabulous sounds pumped out of the bar as the sun sets. Perfect. The Beach Tree Bar, Big Island, Hawaii. This superb bar is a favourite of visitors to the island. It ticks all bar boxes – delicious food, cocktail Heaven and a view of the ocean that will take your breath away. It has wonderful staff who offer up a warm welcome to travellers . You cannot fail to enjoy. Lola’s, Guanacaste, Costa Rica. This bar is perched on a stretch of undeveloped beach in Guanacaste. There are hammocks aplenty, cold beer and ocean that is mesmerising. The waves crash to the shore and provide visitors with an entertaining display courtesy of Mother Nature herself. Did I mention the pig? The namesake of the bar likes to show up in the evening. If you think that you have indulged in too much beer and you can see a pig in the sea, don’t worry, its Lola! Basil’s Bar, Mustique. Mustique has an image of unadulterated luxury, the playground of rock stars and princesses. However, Basil’s challenges that exclusivity with a cool, chilled bar that anyone would be made welcome in. It has been constructed on silts and stands on the shore of the Carribean Sea. The dance floor is open air and it has certainly seen some extremely famous feet over the years. Enjoy Basil’s Bar and indulge in some star spotting. This article was written by Elizabeth James who is a travel bloger and has travel through 38 countries across Europe and Asia working casually in hotels and bars to subsidise her travels.